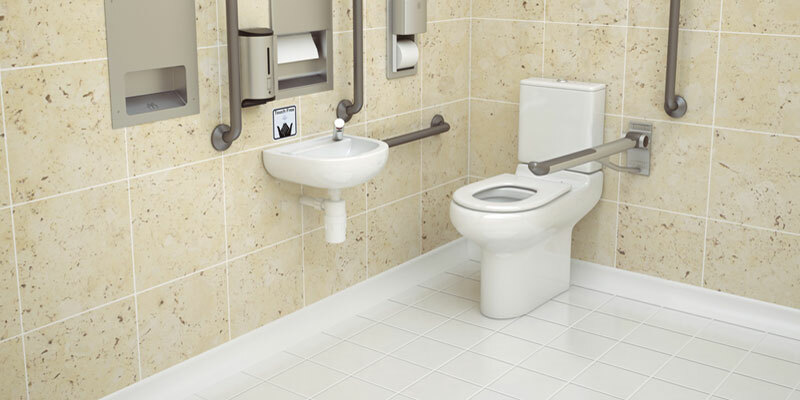 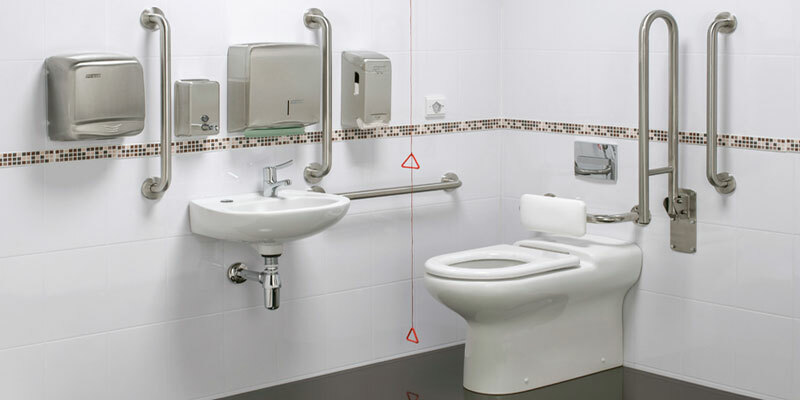 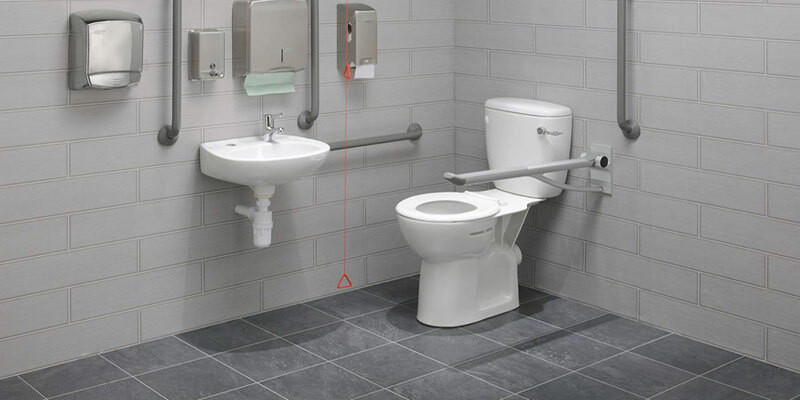 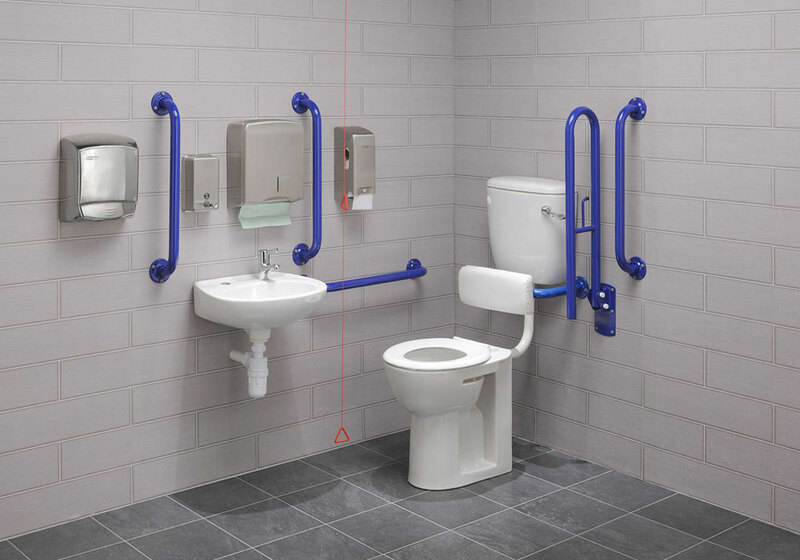 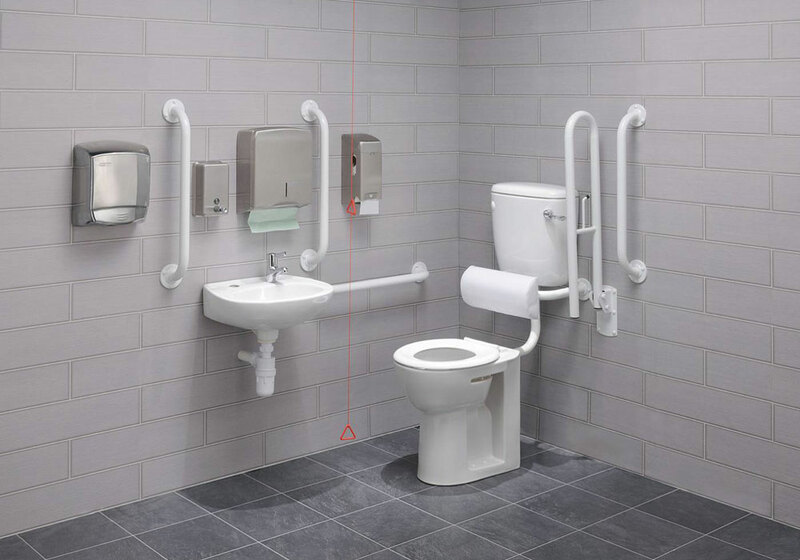 In a market place thats flooded with cheap, poor quality disabled toilet packs the Healey & Lord Economy Range close coupled & low level Doc M packs offers an equally cost effective solution whilst still using very high quality CE marked European manufactured sanitary ware and WRAS approved components. 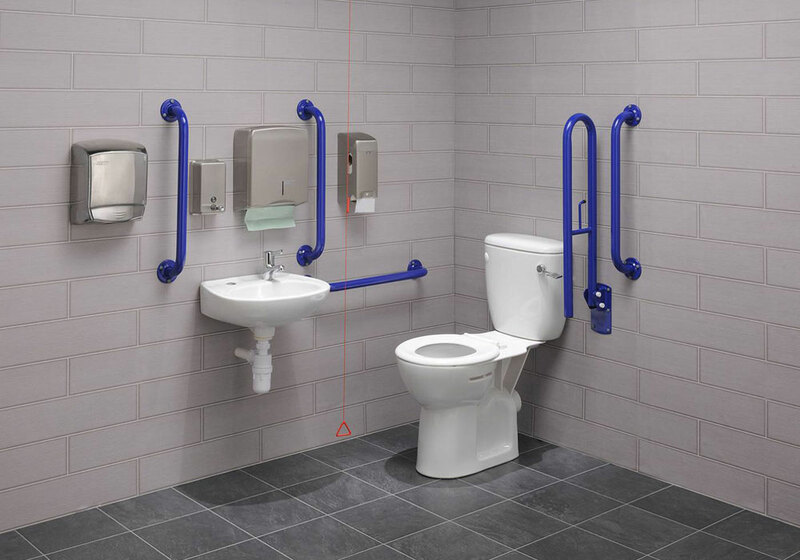 Packs are available with either blue or white rails as standard and grey rails are now becoming a popular alternative. 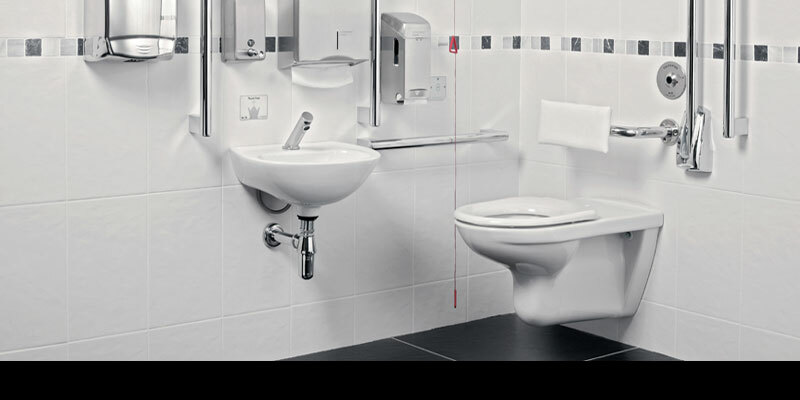 Additionally we can custom coat rails on request to tie in with a companys corporate colours or aspirations. 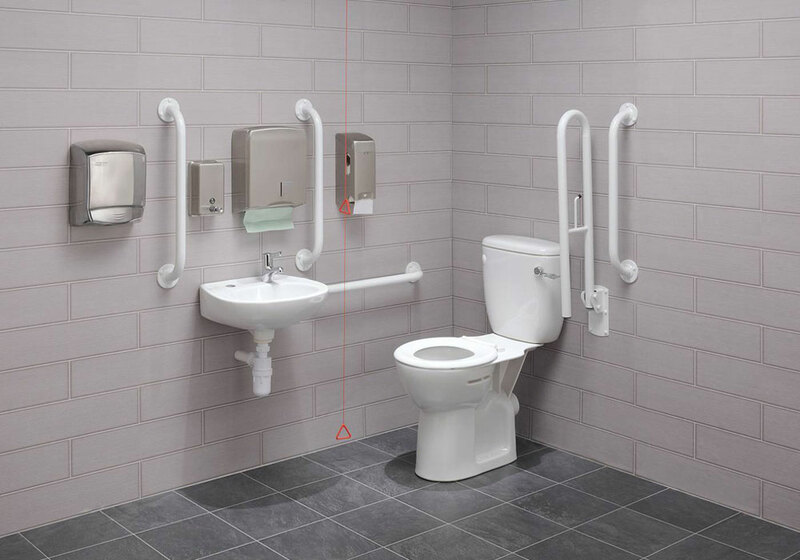 If you would like custom coated rails please provide us with the RAL colour code of your choice.